The Lafayette galleries is a place known for its great brands and its architecture. When did it appear? And what is its story ? Here is a panorama of the creation of the Lafayette Galeries to its evolution over these last centuries. It is in 1893 that two Alsatians, Théophile Bader and Alphonse Kahn decide to open a store of novelty within a haberdashery in an area of 70 m2. 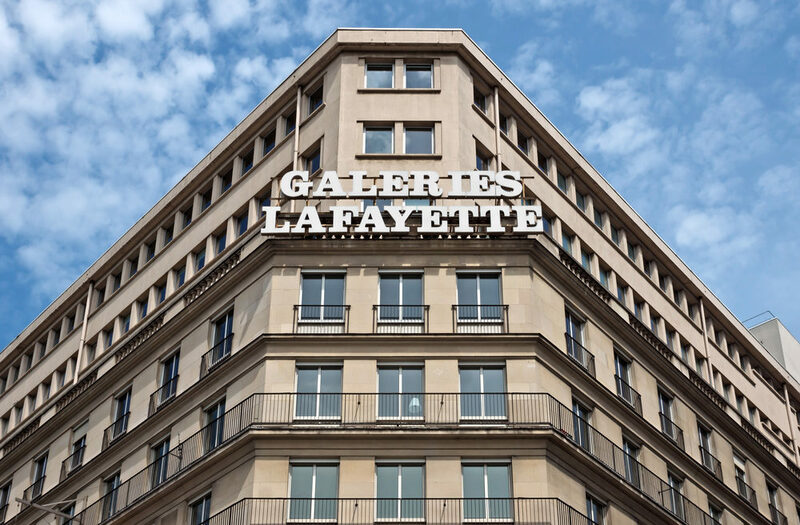 The name Lafayette Galleries comes from its location and its configuration. In 1896 the company bought the entire building at 1, rue de la Fayette and buy in 1903 the other building boulevard Haussmann and Chaussée d’Antin. The first works are completed in 1907 Boulevard Haussmann. But it is with Ferdinand Chanut that the store acquires a new dimension. The store was inaugurated in 1912 and its creators imagine a luxury goods store with a light radiating from the dome. The monument is inscribed in the Paris Art Nouveau and Ferdinand Chanut appeals to artists from the Ecole de Nancy for architecture. The windows are of a neo-Byzantine style and the gigantic staircase is inspired by that of the Opera de Paris. Then appear non-market spaces such as a tea room and a smokehouse and major events are organized. Shop windows play an important role in highlighting the merchandise with a theatricalization. In 1974, the main staircase is dismantled and ten years later the ground floor is furnished with prestigious shops. The Lafayette galleries are at the origin of the Fashion Festival created in 1980. Creations of great creators such as Karl Jean-Paul Gauthier and Karl Lagarfeld appear. In 2004, the Mark and Spencer store became Lafayette House. The store then displays three buildings on Boulevard Haussmann.